New Years Eve is just around the corner, and you know what that means...parties! For a lot of people, it also means vacation. Many people take time to travel over the New Year to take advantage of days off work and school. Whether you seek the glitz and glam of the New Years Eve cocktail parties or a more low key, kick off your shoes and relax kind of celebration, we have the top New Years Eve celebration destinations for you! This destination always makes the list because it is one of the most sought after destinations for New Year's thanks to the Times Square ball drop! If you seek a big event with live cameras, live music, and one of the largest parties around, look no further than spending New Year's Eve in New York City! If you are looking for a place to stay close to Times Square, try this 2 bedroom New York City vacation apartment. This apartment is located just 3 blocks from Times Square! No need to hire a taxi in the madness of the holiday, just walk out your door and you will be at the New Year's Eve Time Square Celebration in minutes! Disney and the Orlando, Florida area are some of the most visited tourist destinations in the United States. New Year's Eve is a great time to visit Disney as the weather is warm, and the fireworks are magical! They don't call it the Magic Kingdom for nothing. If you are looking for good, family friendly fun, Orlando is the place to spend your New Year's Eve celebration! Fun for the whole family can be had at this great Orlando/Disney area vacation condo! Endless amenities like miniature golf, swimming, kayaking, arcade games, full kitchens, and so much more. This is a great location just a few miles from all the magic at Disney! 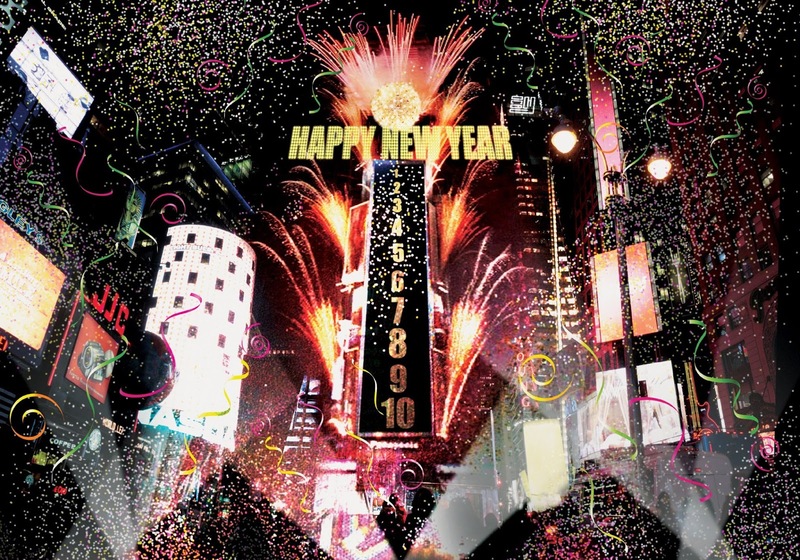 This famous city packs in over 1 million party goers each New Year's Eve! So, if you are looking for a party, this might be the place to go. With live music, endless food venders, and an impressive fireworks show at midnight, you are sure to have a memorable celebration (and be tired at the end of the night)! This one bedroom vacation apartment is located right in the heart of Berlin! Just steps from all of the attractions and nightlife you seek on your New Year's Eve vacation. At the end of the day, you will want to kick back and relax in this great vacation apartment in Berlin. We debated on a specific location, but decided that anywhere in the Caribbean is a great destination to spend New Year's Eve! All of the islands will have celebrations, festivals, parties, you name it! Plus, they all offer the warm sands and the beautiful ocean waters that so many people seek this time of year. If you end up visiting St. Maarten for your New Year's Eve vacation, try this 3 bedroom ocean view vacation home in Beacon Hill! It is available for the holiday and can sleep up to 6 people, so bring your family and friends! The views will not disappoint either. Wherever you may celebrate the New Year's Eve holiday, we hope you enjoy your vacation and have a wonderful New Year! If you are still in search of the perfect place to spend New Years Eve, contact our travel specialist. We love helping our customers find the perfect place for vacation! PerfectPlaces.com has over 66,000 vacation rental properties in over 79 countries. Perfect Places is dedicated to helping travelers find and rent vacation rental properties worldwide. Vacation Rental properties offer a compelling alternative to Hotels for travelers seeking additional space, amenities and value that Hotels are often unable to match. Perfect Places is a privately owned company headquartered in Mountain View, California.